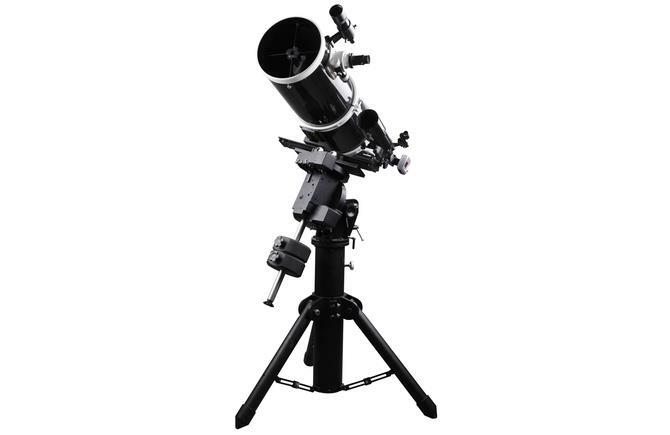 The Pro mount from Sky-Watcher. 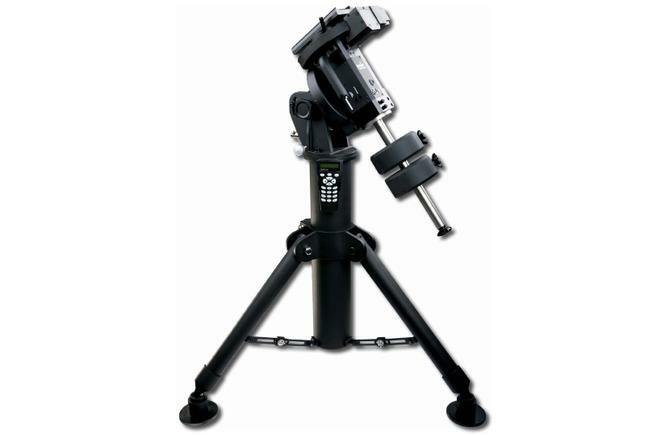 The EQ8 High Precision EQ mount is pier tripod based. It comes with a SynScan hand controller, 2x10kg counterweights, with a payload of 50kg. The patented Freedom Find (dual-encoder) technology allows the telescope to be moved manually whenever the user wishes - but with no need for re-alignment! The EQ8 mount is equipped with auxiliary encoders on both the R.A. axis and Dec. axis. Therefore, the mount can keep tracking its current position even when a user unlocks the clutches and rotates the mount in R.A. axis and Dec. axis by hand. With this feature, a user can manually operate the mount anytime without worrying about losing the mount’s alignment status. When the user wants to operate the mount with the SynScan hand control again, no alignment is required and all that is needed to be done is to re-lock the clutches. This feature can be enabled or disabled on the SynScan hand controller. The EQ8 mount is equipped with an index on its R.A. worm. Thus the motor controller can keep tracking the current position of the worm. After a proper PEC training routine, in which the training data is stored in the motor controller permanently, a user can start the periodic error correction (PEC) at any time to improve the tracking performance for short focal length astrophotography. A training process is not required in the next observing session (assuming that the polar alignment is always accurate), thus this is a Permanent Period Error Correction (PPEC). A user can train the mount with manual guiding or auto-guiding. For detailed instructions please refer to the SynScan hand controller manual. The EQ8 mount is equipped with a SNAP port which can control the shutter release of a camera. Working with the SynScan hand control’s “Camera Control” function, a user can take batch exposures when doing astrophotography. Up to 8 groups of “Exposure-time & Frames” combinations can be set on the SynScan hand controller. For detailed information, refer to the SynScan hand controller manual. The EQ8 mount is equipped with two home position sensors. Working with the SynScan hand controller, the mount can be placed to the same home position after turning on the power. For detailed information, refer to the SynScan hand controller manual. Mount only purchase: Please consult your local dealer for more information.